When starting to dream up my ideal kitchen design, I did exactly what I ask my clients to do… I went back through all of my favorite magazines & Pinterest boards & pulled every kitchen I was drawn to. 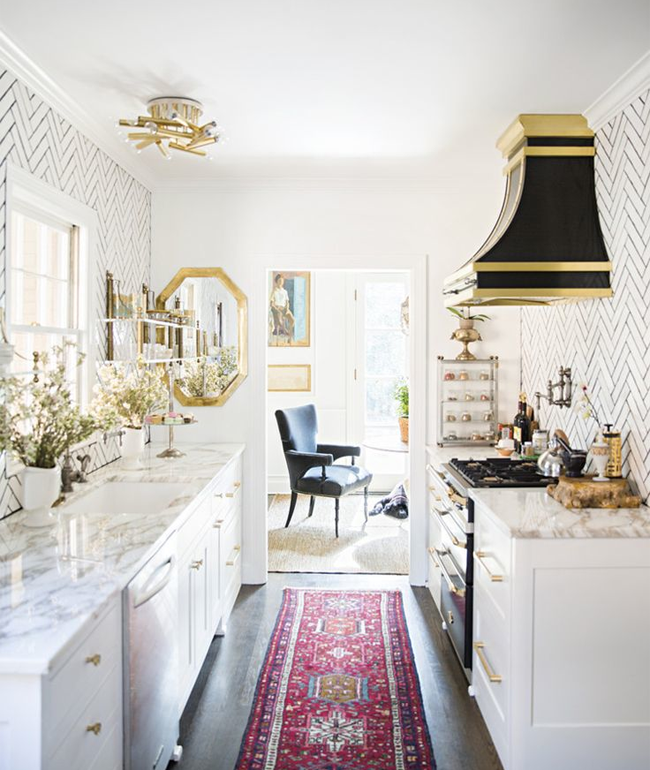 When pinning Kitchens, in the past, I would simply pin anything that I found beautiful… but knowing I was working on my own space I focused on the rooms I would love to live in myself. When working with clients I always tell them that by pulling spaces, that you would actually like to live in yourself, there is always a cohesiveness to your pulls & your style will appear whether you even know what your style is or not. 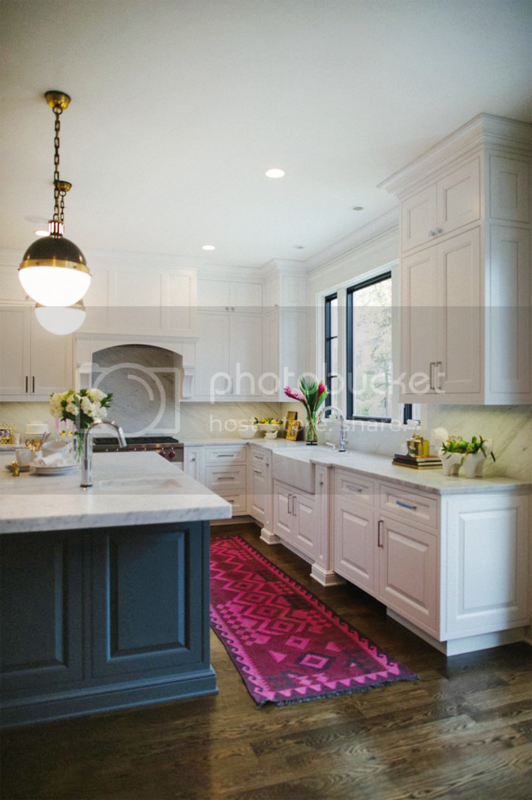 Sure enough, my three favorite inspiration kitchens above have a lot of similarities & gave me a strong jumping off point for my own kitchen design. 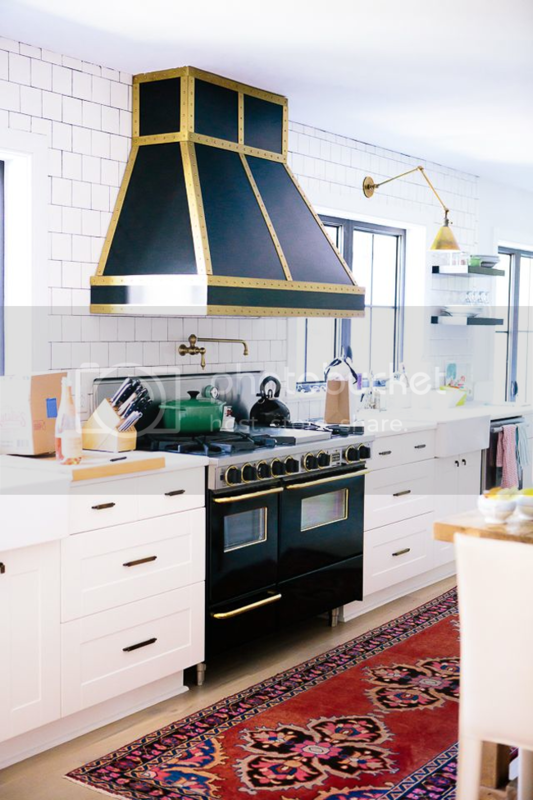 Obviously, I am drawn to white kitchens with classic design elements, white stone or stone like countertops, brass details & some unexpected touches. These ideas helped me go into my first design meeting at The Home Depot with a clearer vision and allowed me to not feel overwhelmed by the many options available from the Martha Stewart Living ™ collection. My first design meeting at The Home Depot was approaching, so I knew I needed to gather a few items to help the Kitchen Designer better understand our space. // A list of needs/wants for the new kitchen as well as what is not working currently. This already felt so much better than our existing space & by moving a few appliances around we were able to create a better work flow as well. The Range & Refrigerator swapped spots to open up the entry from the back door. We will no longer be greeted by the large side of the fridge!! And by adding an over the range microwave we were able to clear up additional counter space on the opposite side. 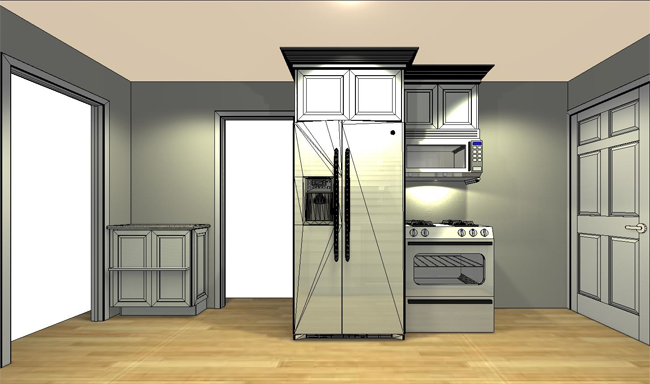 With the little room that we had, we were still able to add full side panels to frame in the appliances as well as add functional cabinetry & crown moulding to fill the void above. 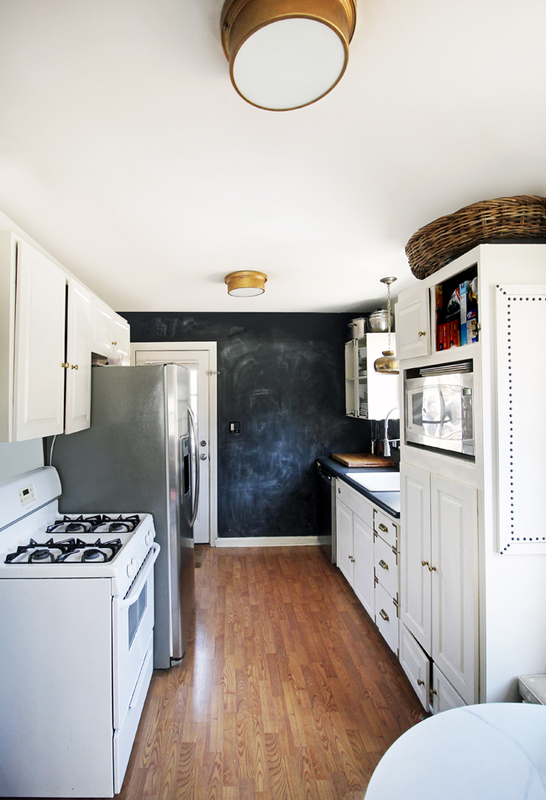 I also mentioned this awkward little space at the end of our kitchen & asked if there was anything we could do… luckily, John was able to add a 12″ deep counter height cabinet that helped tie the entire space together. We were also able to include an angled cabinet at the entry that allows us to wrap the counters & cabinetry onto the end wall. Providing us additional storage & work space. (note… this area of counter space was already more than what we had in the entire kitchen originally!) We left the kitchen sink in the same location, but moved the dishwasher to the opposite side to allow for that new L shape configuration. We finished that row of cabinets off with a 24″ wide cabinet filled with drawers. A vast improvement from our 12″ wide existing. For the upper cabinets, I knew I wanted to include these beautiful open shelves with corbels to provide storage for our everyday dishes & go to items. And on the end wall we utilized a large cabinet with a secret message panel on the end… I can’t wait to share that piece with you once installed! Once the floor plan was in place, we narrowed down my cabinet profile options based on my inspiration images. Those images really helped to narrow down the choices… I went with the Wellston profile as it is a stepped shaker & will always be a classic choice. The Wellston cabinet is made of an extremely durable material called PureStyle which is perfect for my busy home. I learned that PureStyle is actually more resilient than wood. The material provides even color coverage, is easy to clean and resists cracking from heat and moisture. And for the countertops, I went with the LG Hausys Viatera Quartz Counters in Snowcap. Quartz counters have the beauty of stone, but are durable, stain resistant & require no sealing! I think these counters may be my husbands favorite addition to the space. 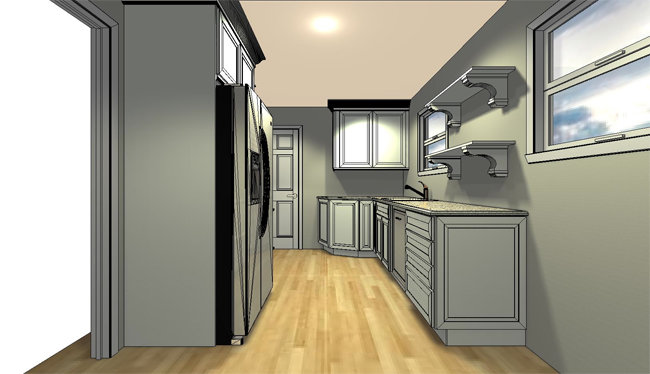 After approving the design/layout with John & The Home Depot, an installation team came out to our house to verify the dimensions & ensure that the cabinets would fit perfectly. Then it came time to order!!! 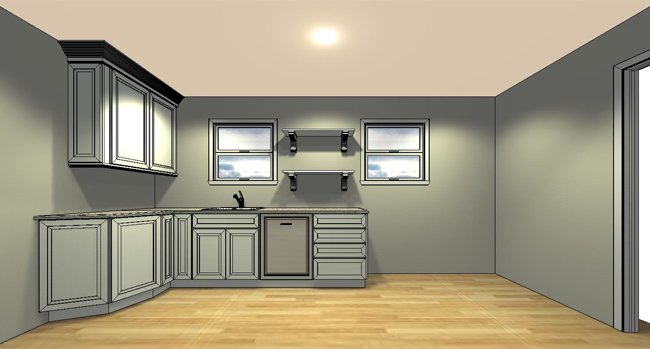 There was about a 6-8 week lead-time for the cabinets to be built & delivered. Typically it’s closer to 6 weeks, however mine took closer to 8 weeks as we ordered right before the holidays… December 24th to be exact! Anticipating their arrival & trying to plan out every detail, I have been scouring the internet for ideas, styling solutions & organizational tips for our new kitchen. You can check out all of my finds on my Dream Kitchen Pinterest Board, as well as taking a look at Martha Stewart Living’s™ Kitchen & Dining Pinterest Board as well! 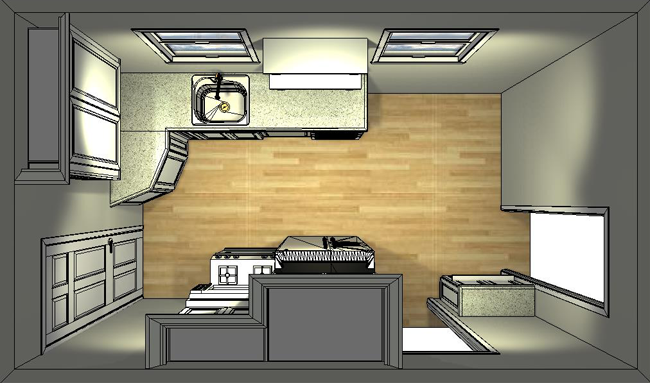 Starting a massive kitchen overhaul can certainly be overwhelming. Having professionals who have both knowledge and experience creating these spaces is such a gift when it comes to planning the layout. There were elements that I didn’t even know were available until John suggested them. The function & space we will be gaining from this renovation is something that we have longed for since we moved in 8 years ago. It will be such a dream to see this project as it comes to life. I’ll be sharing the install details in the next few weeks & sharing sneak peeks on my Instagram account along the way! Looking so great, Kristin! I've been sort of half-looking for a colorful runner for our kitchen, I love what it brings to an otherwise color-quiet room. Could you tell me where your present kitchen lights came from? Thanks! I love what you have planned! Can't wait to see the final outcome. The link to the tile didn't work for me…what tile did you use? They are from Home Depot, but I updated them… Here is the link for the tutorial. OH , this design is right up my alley Kristin! Love all I am seeing from the shelving, tile design, and the sputniks!